Set off on a journey of enlightenment with our enriching and unique religious tour. 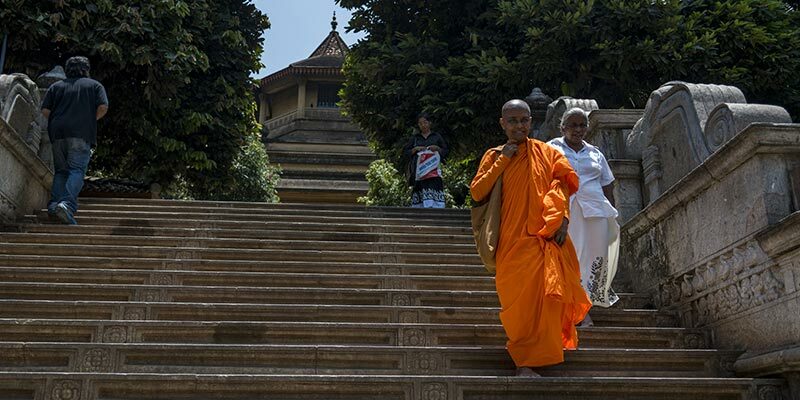 Discover a sacred city, steeped in rich Buddhist culture, ancient traditions and customs. 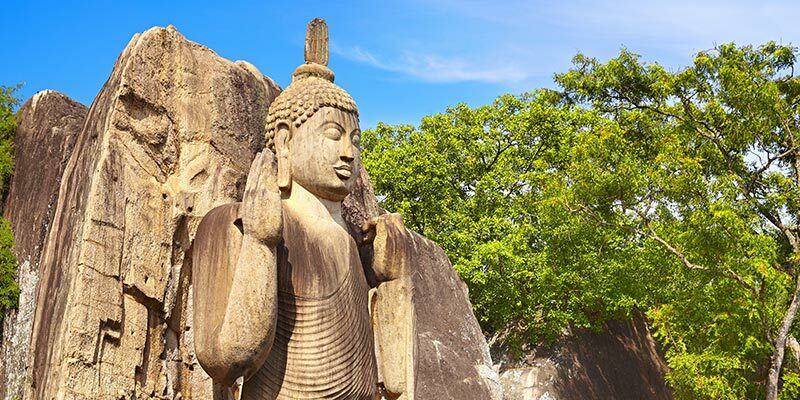 Take in towering stupas, dagabas and statues dedicated to the Lord Buddha, which will inspire awe and wonder at the skills of ancient craftsman. Our guests will also get the chance to take in sites such as Ashok Vatika, a famed destination which holds much significance in the tale of Ramayana. 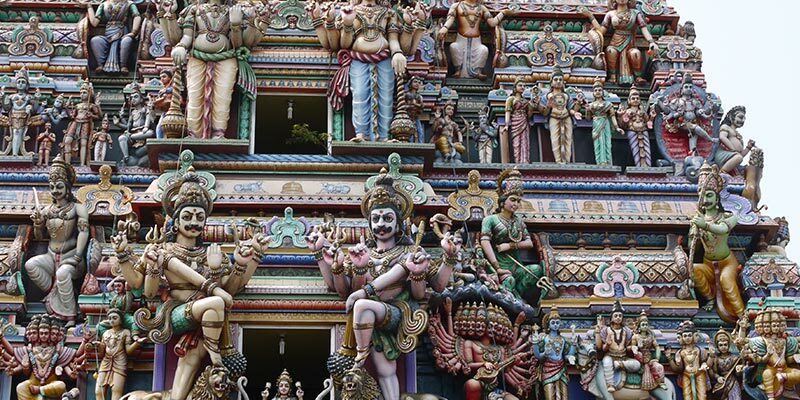 Explore the religious places in Sri Lanka and uncover a new side of the local culture! 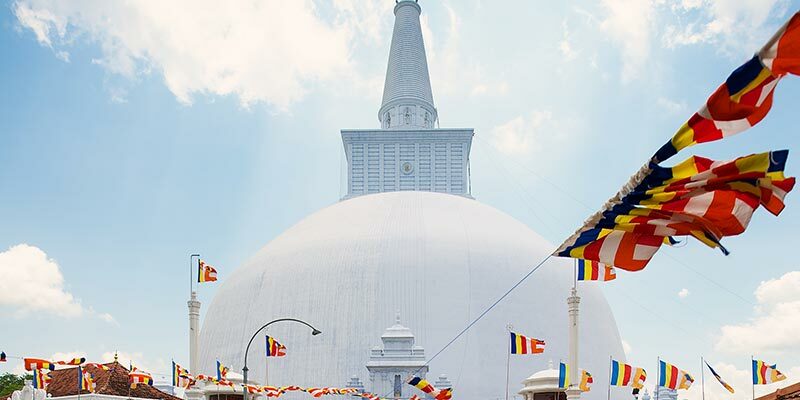 Anuradhapura was the first capital of Sri Lanka. During this era, Buddhism was introduced to the country. Sites of worship created in the period such as Jaya Sri Maha Bodhi, Samadhi Buddha Statue, Ruwanweliseya are still venerated by devotees. 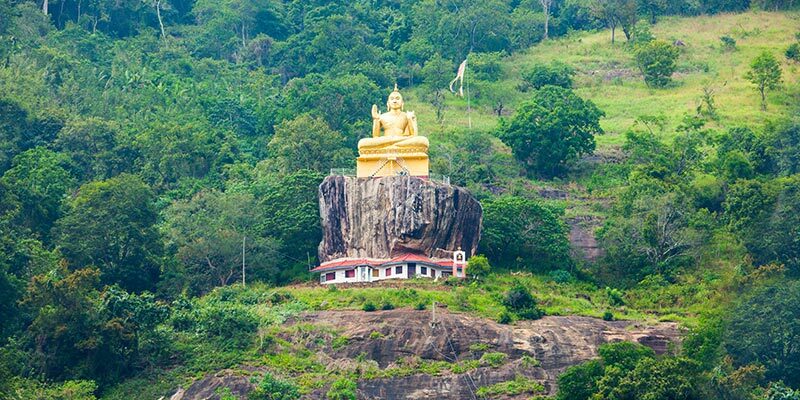 Great King Dutugemunu who ruled the island between 161 BC and 137 BC built the magnificent Ruwanweliseya which is known to be one of the tallest ancient monuments in the world. It is 103 metres in height and has a circumference of 290 metres. 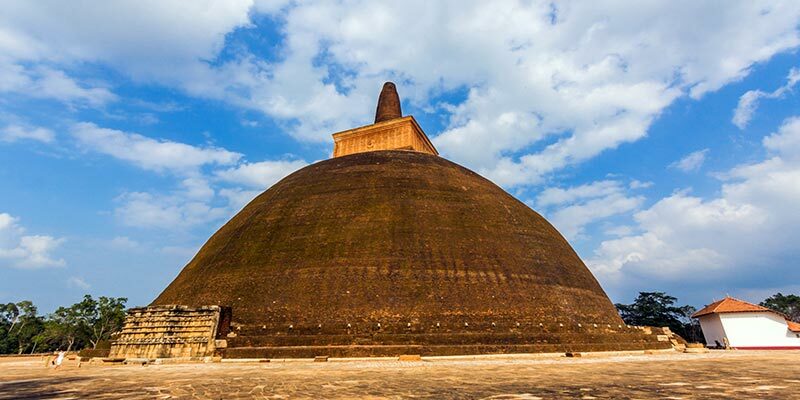 The beautiful Mirisaweti Stupa was also built by King Dutugemunu during the Anuradhapura era. 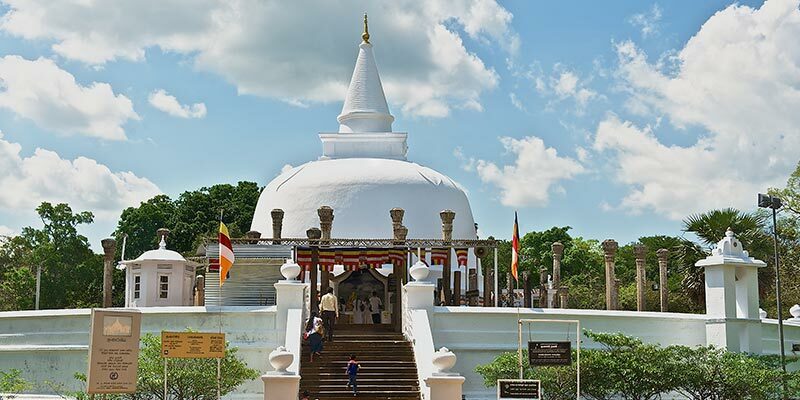 It is believed that extensive renovations to the stupa were done under the patronage of Kashyapa I and Kashyapa V.
Thuparamaya which is believed to have been built during the time of King Devanampiyatissa who ruled the island between 247 BC and 207 BC, is oldest dagaba in Sri Lanka. It is located in Mahamewna Park and is recognised as an archaeological site. 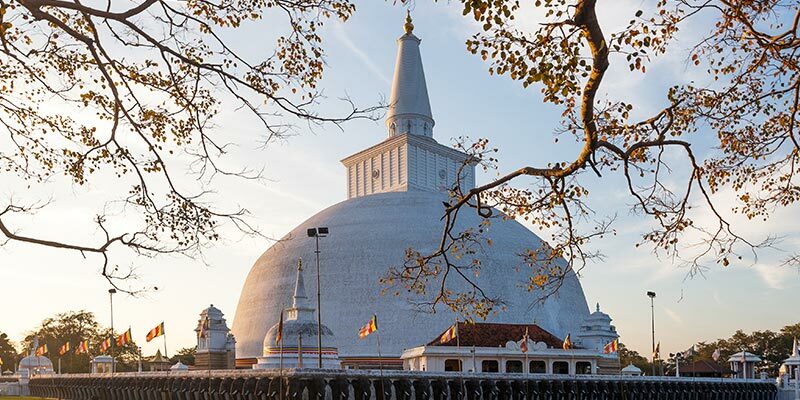 Abhayagiriya which is located in Anuradhapura is one of the most prominent Buddhist worship sites in the island. It is believed to have been built by King Valagamba during his second reign in the island which took place between 89 BC and 77 BC. 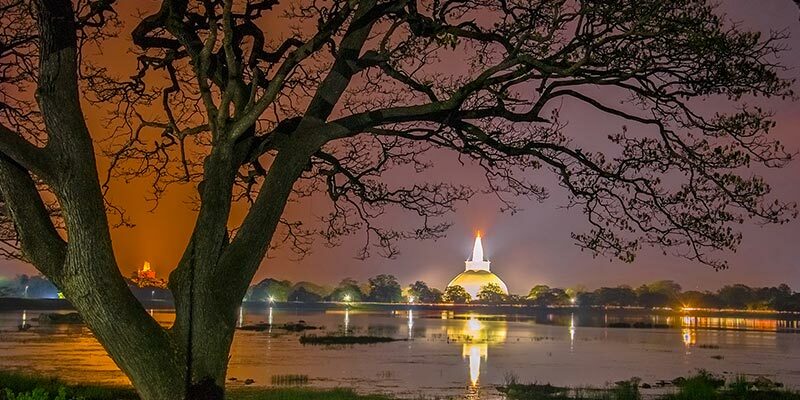 Lovamahapaya which is also known as Lohaprasadaya or Brazen Palace is located in Anuradhapura. This building is believed to have had a roof covered with bronze tiles. It was the tallest building in the island for a millennium in ancient times. Isurumuniya, an ancient Buddhist temple located near Tissa Wewa, has gained immense fame because of the intricate carvings that adorn it. The carving of the Isurumuniya Lovers is quite popular in this temple. It was built by King Devanampiyatissa. 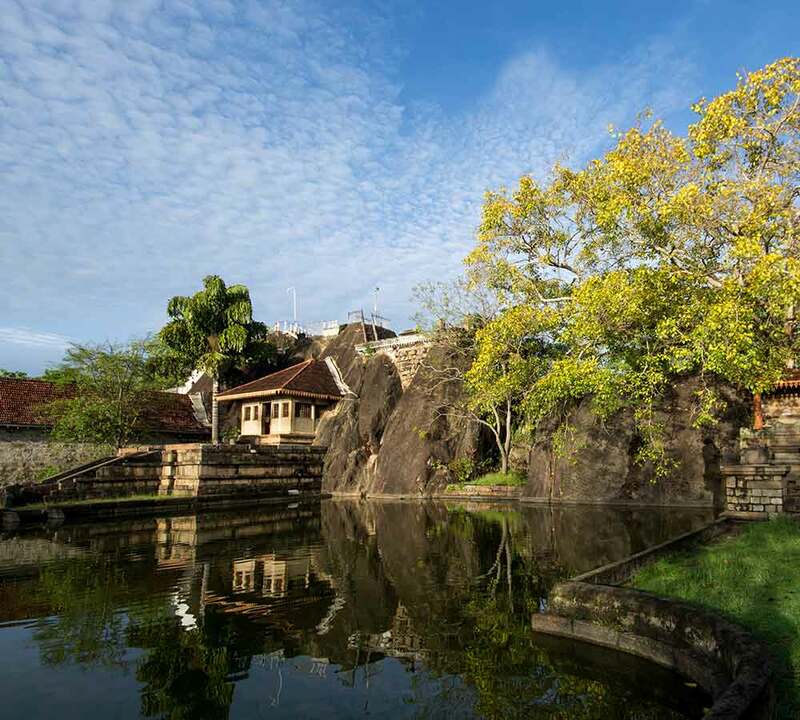 King Valagamba built the magnificent Lankaramaya during the Anuradhapura era. The massive ‘’Ath Pokuna’’ or the Elephant Pond which is located in close proximity to Lankaramaya heightens the appeal of the site by great degrees. 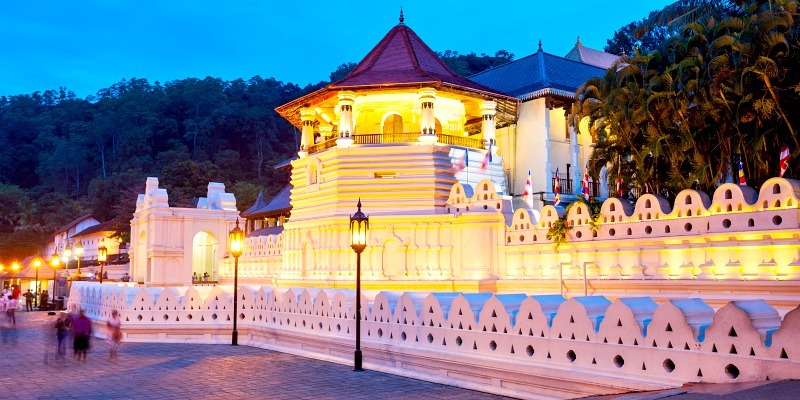 In the iconic city of Kandy is where the Temple of the Tooth Relic, which is also known as Sri Dalada Maligawa is located. It houses a relic of the tooth of Buddha and receives homage of thousands of devotees throughout the year. 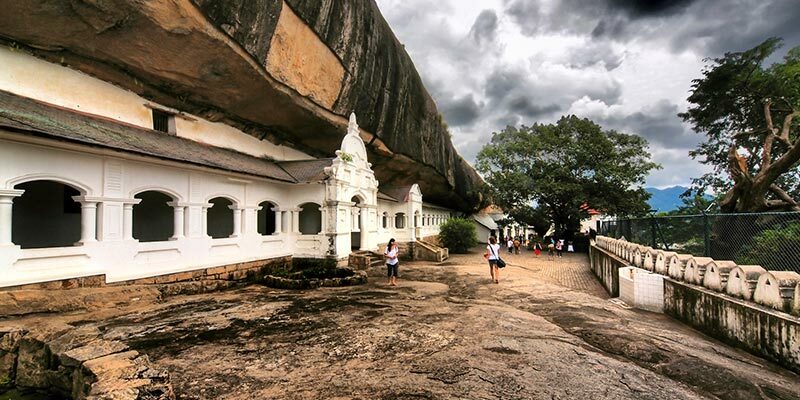 Dambulla Cave Temple or the Golden Temple of Dambulla is known to be the largest and the best preserved cave temple complex in the island. There are many intricate statues and murals of Buddha to see and admire here. 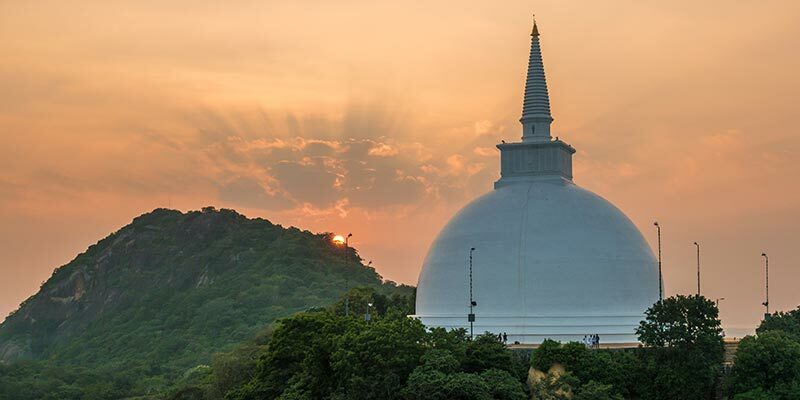 Mihintale is a sacred mountain peak in Anuradhapura where the King Devanampiyatissa met Buddhist monk Mahinda. This encounter resulted in Buddhism being introduced to the island. It is a venerated site of worship among the Buddhists in the island. 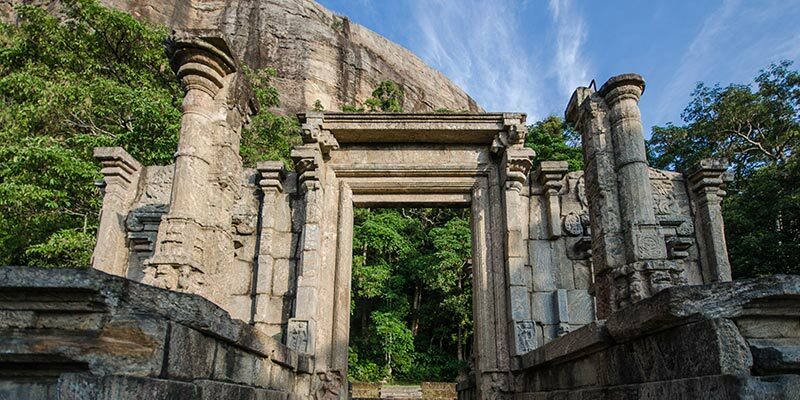 Matale Alu Viharaya, which is also known as Aluvihare Rock Temple, is believed to have been built by King Devanampiyatissa after embracing the peaceful teachings of Buddhism. There are caves that are adorned in vibrant paintings to be seen on site. Gangaramaya Temple is a famous attraction in Colombo that combines Sri Lankan, Indian, Thai and Chinese elements in its unique architecture. 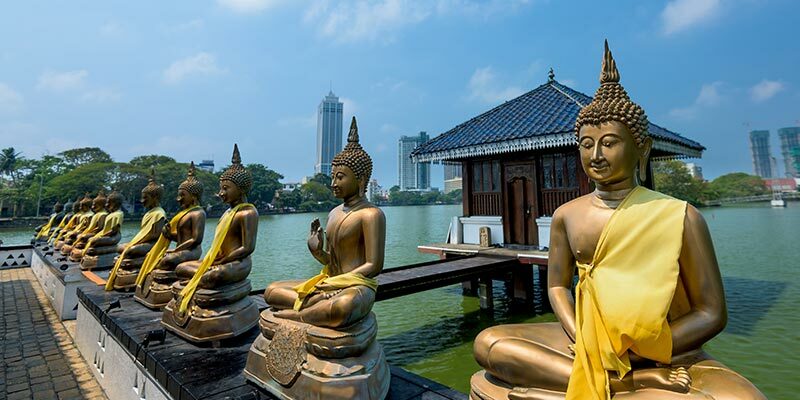 Seema Malaka which is situated in the Beira Lake of Colombo is a place that is mainly used for meditation. 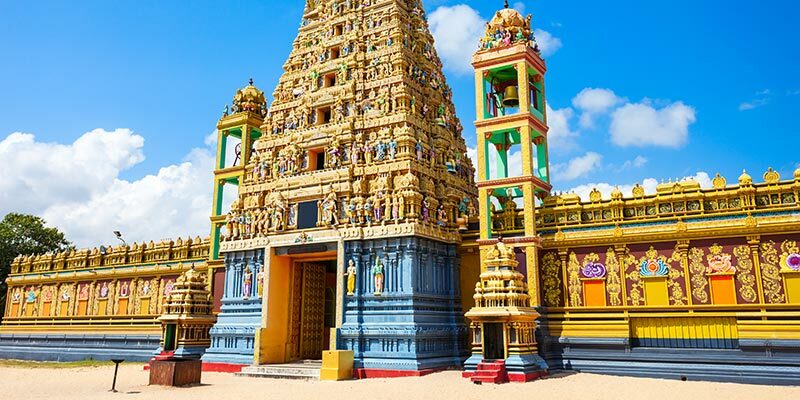 Kelaniya Temple is a prominent site of worship that dates back to 500 BCE. It is believed that Lord Buddha himself visited this venerated site during his third and final visit to the island and preached to the masses seated on a gem studded throne. 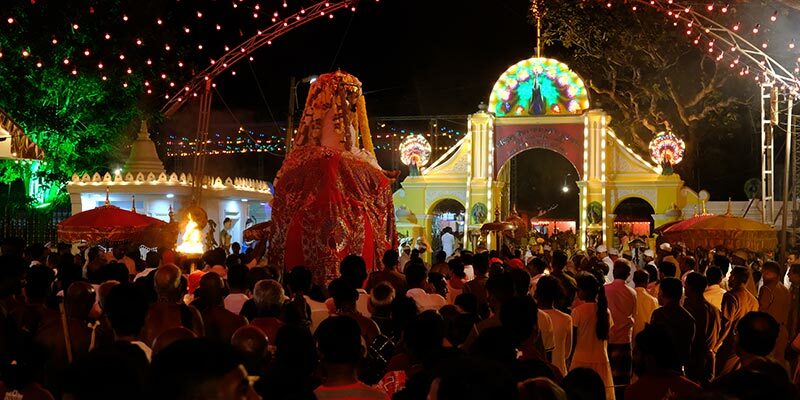 Buddhists, Hindus as well as the indigenous Vedda people of the country regard Kataragama town as a sacred one. 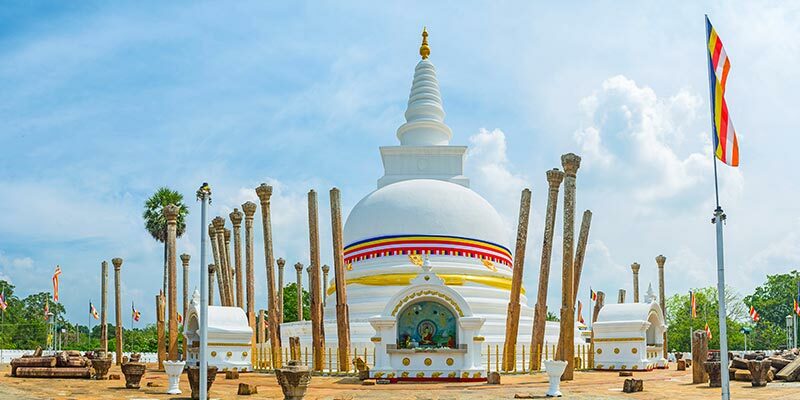 The Kataragama Temple, which is dedicated to Kataragama Deity is located in the town as is the beautiful Buddhist stupa of Kiri Vehera. 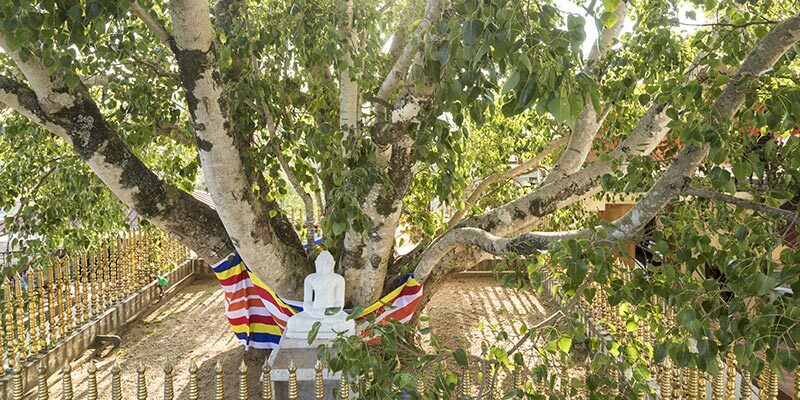 Kalutara Bodhiya is a sacred bo tree which is one of the 32 saplings of Jaya Sri Maha Bodhi. 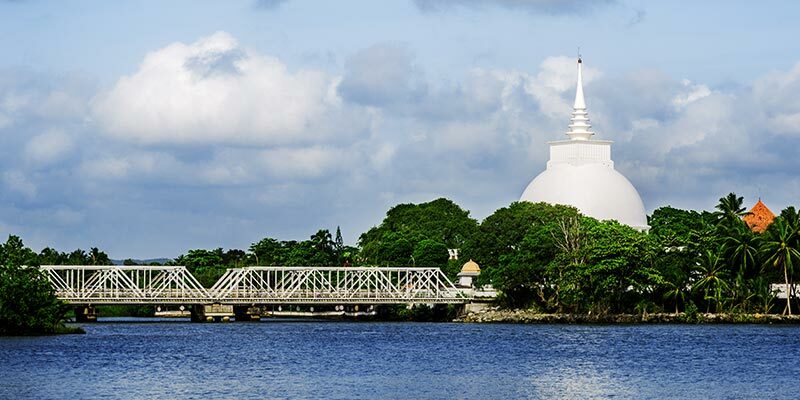 Located close to the bo tree is the Kalutara Chaitya as well as the Kalutara Viharaya. The site is visited by countless devotees throughout the year. 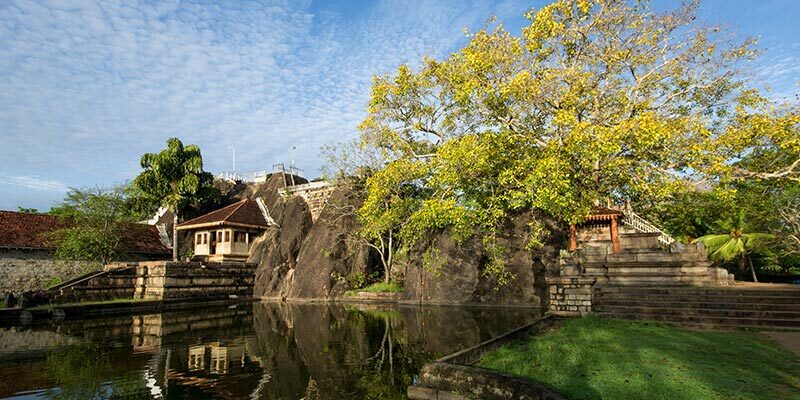 Sri Kailasanathar Swami Devashthanam which is also known as Captains Gardens Kovil is regarded as the oldest Hindu temple in Colombo. Hindu deities of Shiva and Ganesh are worshipped here. The ceiling of the kovil is adorned in beautiful paintings. Koneswaram Kovil is one of the most significant Hindu temples in Sri Lanka. This temple, which is believed to have been built back in 1580 BC, is dedicated to Lord Shiva. It is located in Trincomalee, in the Eastern Province. This is yet another important place of worship among the Hindus of the country. Nallur Kandaswamy Temple is dedicated to Lord Murugan or Katharagama Deviyo. It is located in Nallur, in the Northern Province of Sri Lanka. 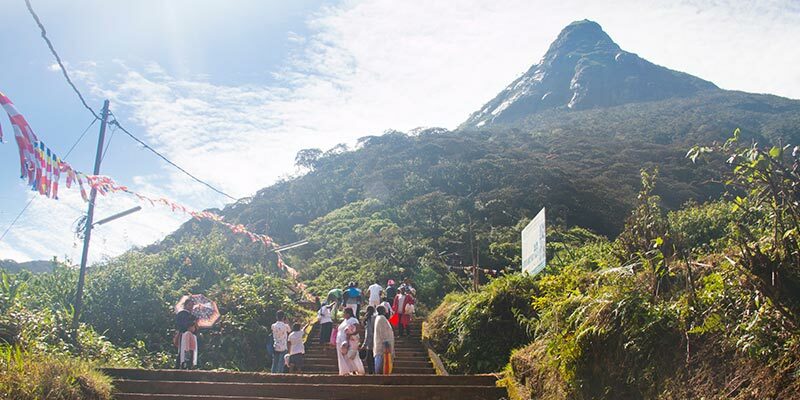 Adam’s Peak or Sri Pada is an incredibly beautiful conical mountain in the Central Province of Sri Lanka. There is an indentation at the summit of the rock that resembles a foot print. Buddhists believe that it is Lord Buddha’s foot print. Ashok Vatika is the garden where Sita was held captive by Ravana after she was abducted by him. It is believed that Hakgala Botanical Garden is the present day location of Ashok Vatika. 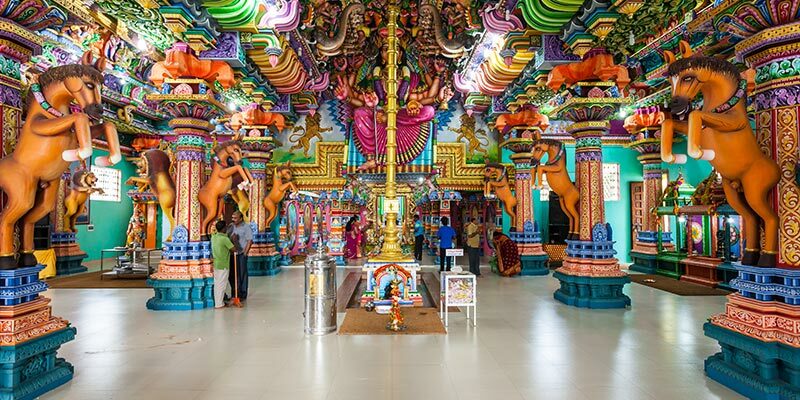 Sita Amman Temple is a prominent attraction in the vicinity.